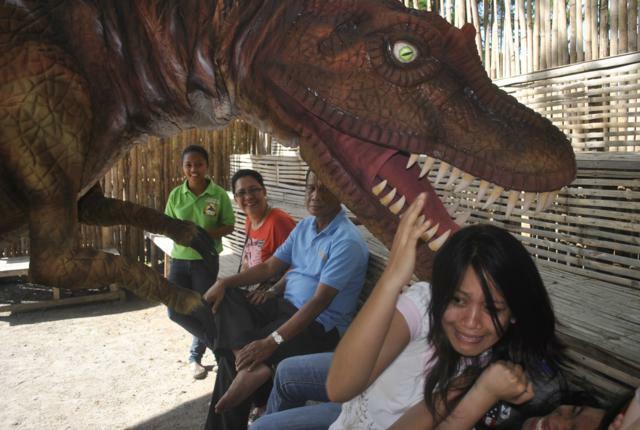 It was a fun afternoon spent at Dinosaurs Island, a new family attraction at Clark Field, Angeles City in Pampanga. 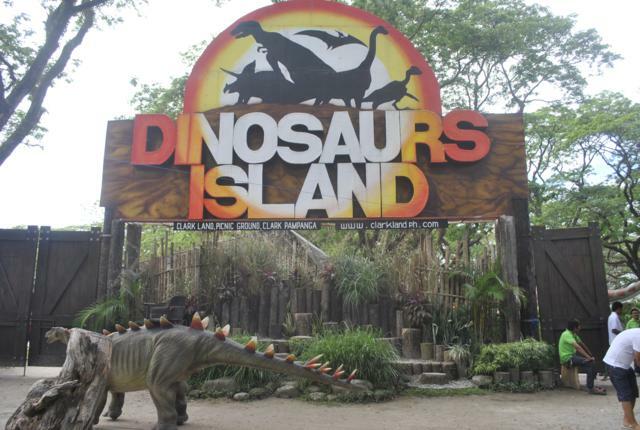 Dinosaurs Island is the Philippines’ version of Jurassic Park. 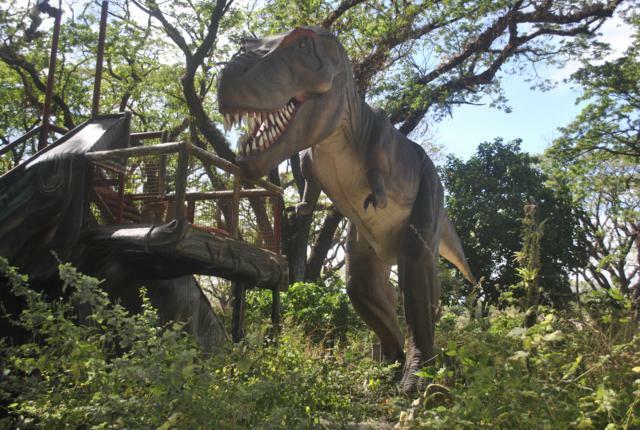 Set in a forest of tall, probably centuries-old trees, this new theme park north of Metro Manila will delight dinosaur lovers, both young and old. 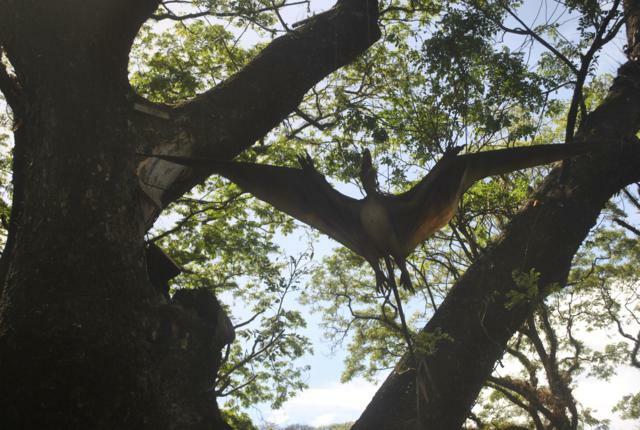 The park is only less than two hours drive from Metro Manila. Barely a few months old, the park started operations in August last year. 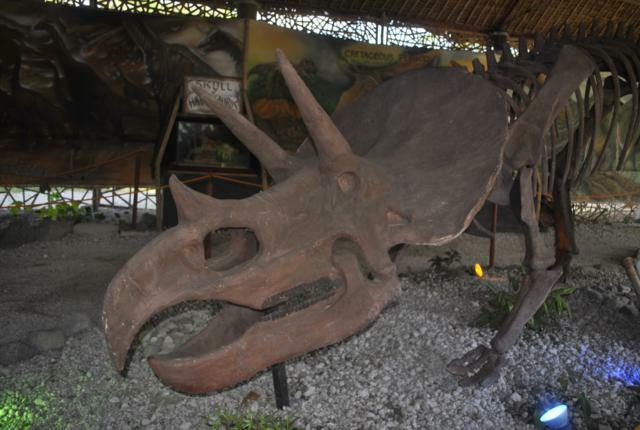 The park has the following attractions: Dino Trail, Fossil Museum, World of Fun and Adventure Ride. 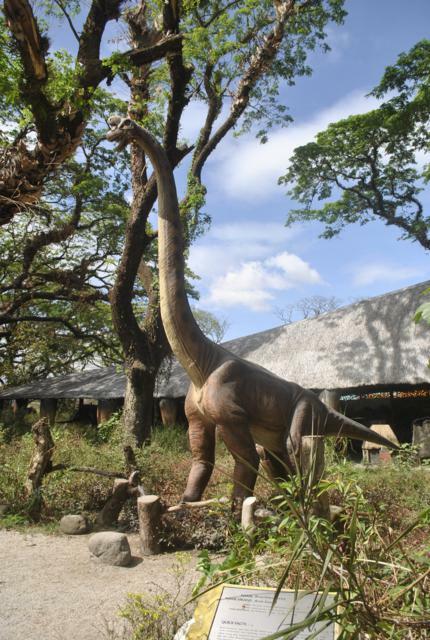 Enter the big wooden doors of the park, walk along the forest trail and see the animatronic dinosaurs that look, sound and move like the real ones that we see in the movies or TV. 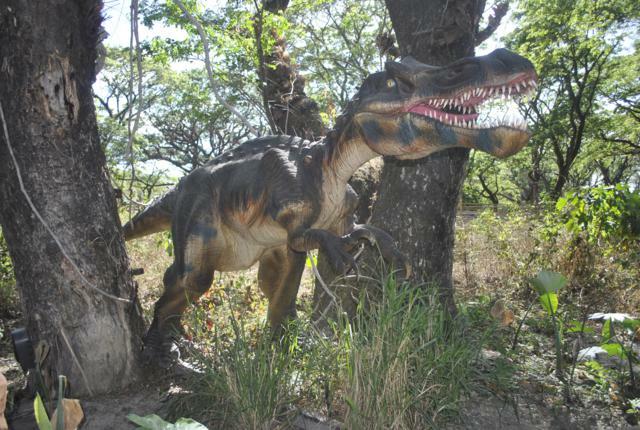 With motion-sensor devices, the dinosaurs move and make a sound as people approach them. A park staff guides groups along the trail, introduces each of the dinosaur species, and helps also with picture-taking. 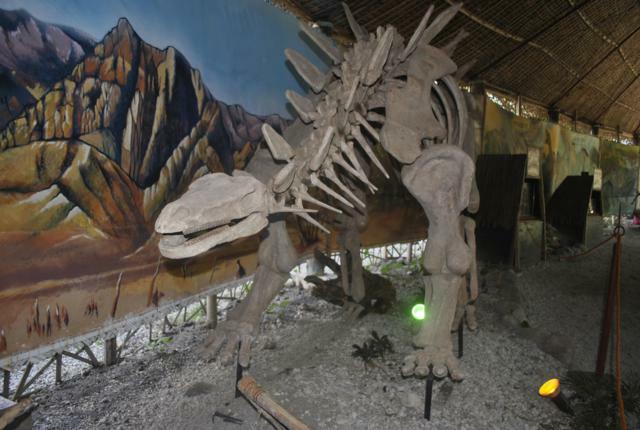 The Fossils Museum features some replicas of dinosaur fossils that help visitors know more about the evolution of dinosaurs. 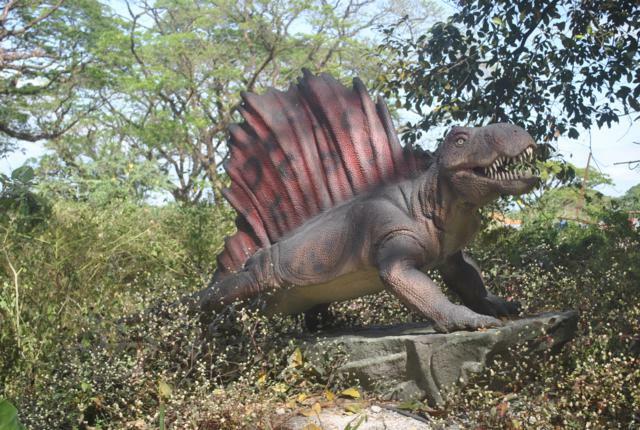 This area of the park is where the dinosaur mascots roam around, interacting with visitors. Be careful if you have little kids, as the mascots who chase visitors may scare the little (and not so little) ones. If you’ve seen all Jurassic Park movies, there’s a reason to be scared going in for the first time through the park’s big doors. Especially when you hear the sound of the dinosaurs, then see them move their heads towards you as you approach. With the size of these pre-historic creatures, you’ll probably have a hard time convincing the little ones that the dinosaurs aren’t real. But once the kids get over their fear, they’ll have a grand time posing for pictures with the dinosaurs. Dinosaurs Island is currently a work in progress. But it’s informative and entertaining as is. It holds a lot of possibilities for future expansion. I hope it also highlights the trees and other plants in the forest, and actively promotes environmentalism. And I hope to see more interactive features in the park for more fun and memorable times, especially for the kids. 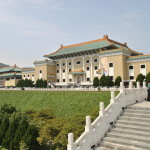 The park is open everyday from 9am to 5pm. 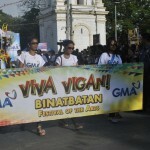 Entrance fee is P350 for adults and P250 for kids. Little kids 3 years old and below get in for free. 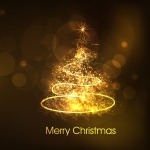 Go to the company website for other park info like location map, etc. 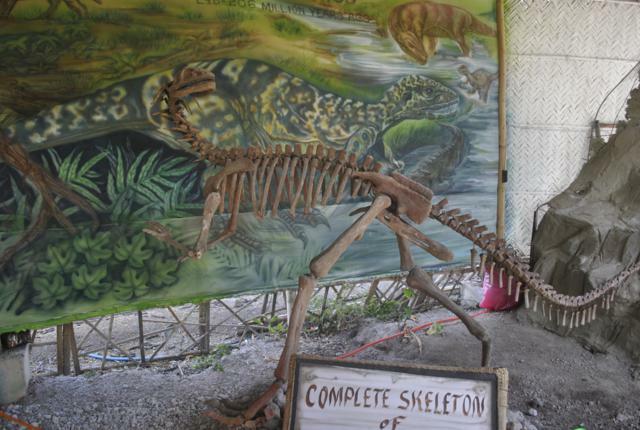 Take a trip to Dinosaurs Island soon to have a fun time learning about dinosaurs.